Who knew that American retirees were such a hot commodity? A growing number of developing countries certainly think so. They're wooing seniors with perks ranging from travel and health care discounts to tax breaks. 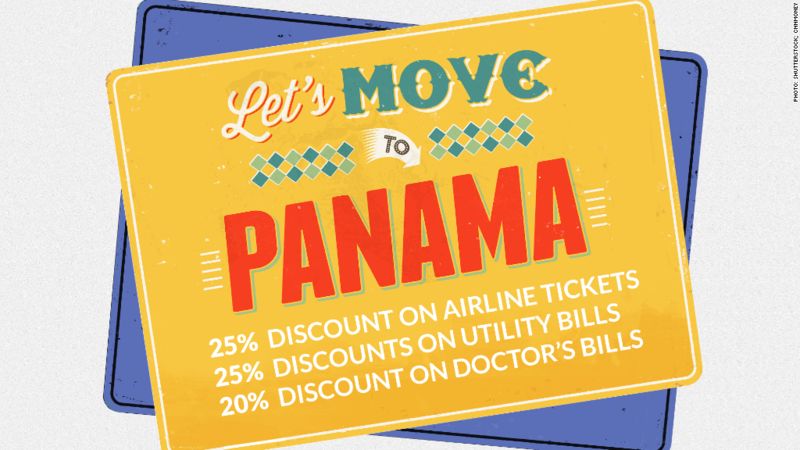 Panama offers the silver-haired set discounts on utility and doctor's bills and even gives them cheaper mortgages. In nearby Ecuador, seniors 65 and older get sales tax refunds, half-price bus and plane tickets and front-of-the-line privileges everywhere from the bank to airport customs. 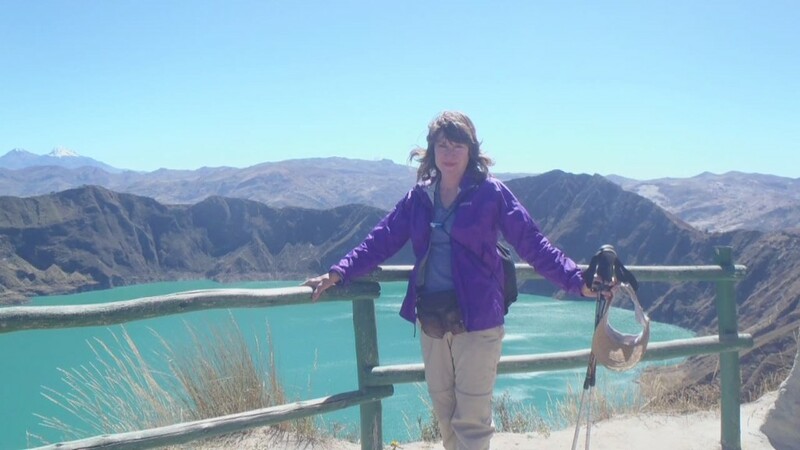 "They really treat senior citizens with a lot of respect," said Susan Schenck, a retired teacher who moved from California to Ecuador four years ago. "I'm 58, and I can't wait until I'm 65." Some countries, like the Philippines, have government agencies devoted to attracting foreign retirees. Meanwhile, others have streamlined their visa process and introduced low monthly income requirements to make it easier to move to their country. In Nicaragua, for example, people as young as 45 can qualify for the retiree residency program as long as they have a monthly pension or Social Security income of just $600 a month. But perhaps no country is more generous to seniors than Panama. On top of its laundry list of perks, the country offers a "Friendly Nations" visa which gives permanent residency to foreigners from other countries. The courting of retirees started with Costa Rica's "pensionado" program, which offered special tax breaks for retirees and became popular in the 1980s. "They saw American retirees as an opportunity, and other countries in this region have watched how much money, how much income that has meant for Costa Rica's economy," said Kathleen Peddicord, founder of the Live and Invest Overseas publishing group who is also an expat living in Panama. While Costa Rica has since eliminated most of its tax incentives, it's still a popular retirement destination. Other South and Central American countries followed suit and started offering a variety of perks. And now some Asian countries have started rolling out their own programs. Some countries advertise these perks on their official tourism websites. Or prospective expats can research them at the websites run by groups like Live and Invest Overseas and International Living. It's a symbiotic relationship: seniors can stretch their nest eggs with lower living and health care costs, while the developing countries enjoy an economic boost from the retirees' spending. The programs appear to be working. In 2013, nearly 50,000 retired workers and their spouses were receiving Social Security benefits in South and Central America and the Caribbean — up roughly 50% from 10 years earlier, according to the Social Security Administration. Meanwhile, more than 100,000 retirees and their spouses were receiving Social Security in Asian countries, an increase of more than 200% since 2003. Of course, the expat lifestyle isn't for everyone. Language can be a barrier, especially in Asian countries. Crime and political and economic instability can also be issues. Same goes for possible banking and tax headaches. (Retiring overseas doesn't mean you can escape a U.S. tax bill and depending on the country, you could owe local taxes, too). Plus, not all countries offer permanent residency, meaning that if the government changes its visa rules, retirees could be forced to pack their bags. And then there are the more routine frustrations. Peddicord says she once called four different Panamanian plumbers before finally finding someone able to fix her dishwasher ("They'd never encountered one," she says). Meanwhile, Schenck said she can no longer buy her favorite U.S. products from Amazon as Ecuador has cracked down on imports. In Panama, retirees Dusty and Carolyn Tubbs waited months longer than expected for their new home to be completed. Still, they said the adventure and cost benefits of living abroad far outweigh the negatives. "When you move overseas...life will be different," said Dusty Tubbs. "If you want to be happy, you learn to embrace the changes."